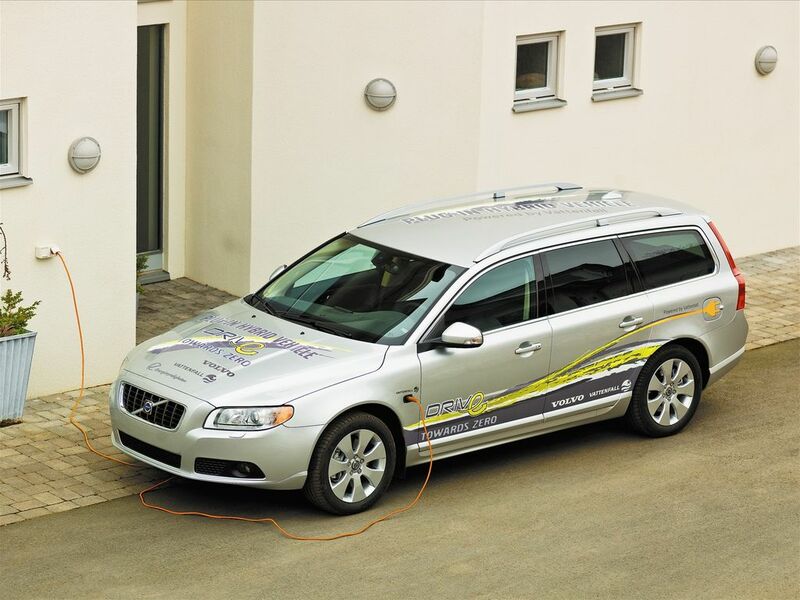 Plug-in hybrids are an attractive car type offering the user the best from both electric power and conventional drivelines: extremely low fuel consumption and CO 2 levels, combined with a long range and high performance. "The new Volvo plug-in will be a truly enjoyable car to drive, featuring Volvo's high safety and comfort standards. At the same time, CO 2 levels and fuel consumption will be as low as half that available on the market today." 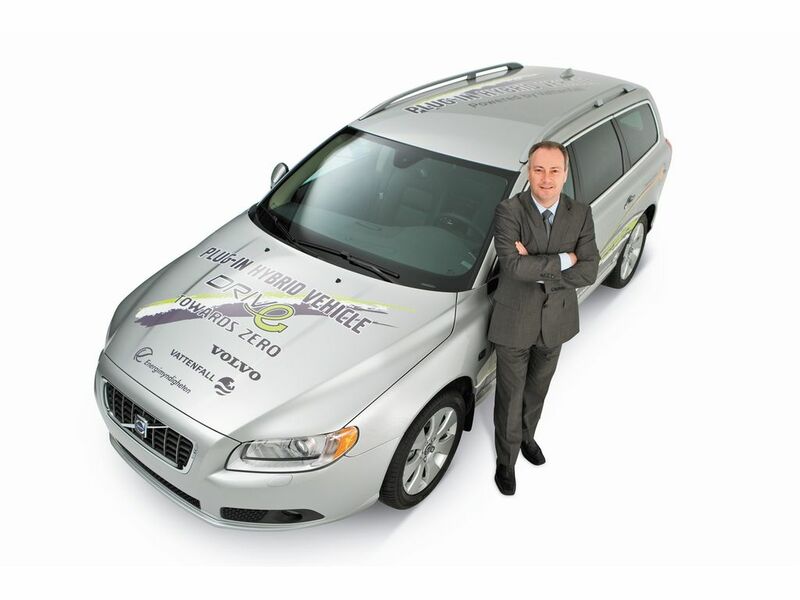 says Stephen Odell, President and CEO of Volvo Car Corporation. The range will be about 1200 kilometres, just like in a conventional diesel car. It will be able to be driven up to 50 kilometres on pure electric power and when running on the battery, emissions from the exhaust pipe will be non-existent. If the battery is recharged using electricity from renewable sources, the net emission of CO 2 will be close to zero, even in a lifecycle perspective. 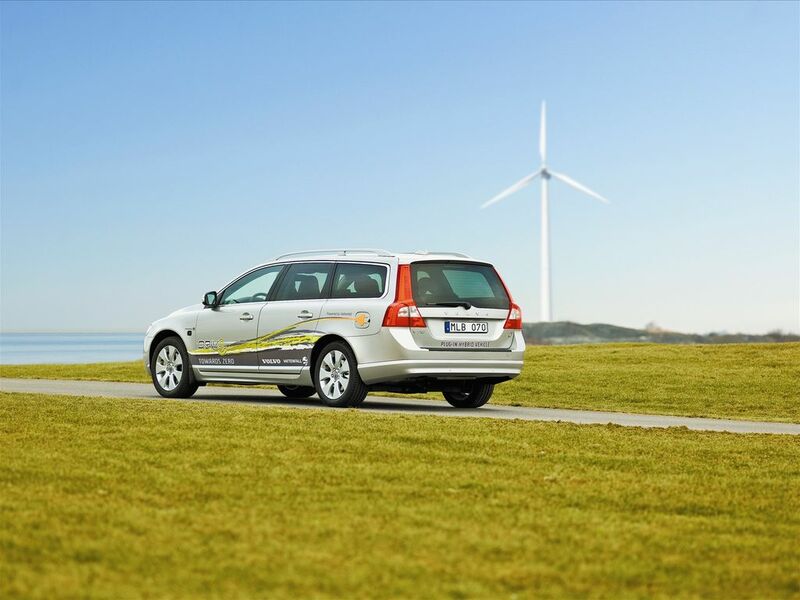 Volvo's dealers will offer customers who buy a plug-in hybrid a special contract for the supply of renewable energy. This agreement has been created in cooperation with the company's partner, Swedish electricity supplier Vattenfall. 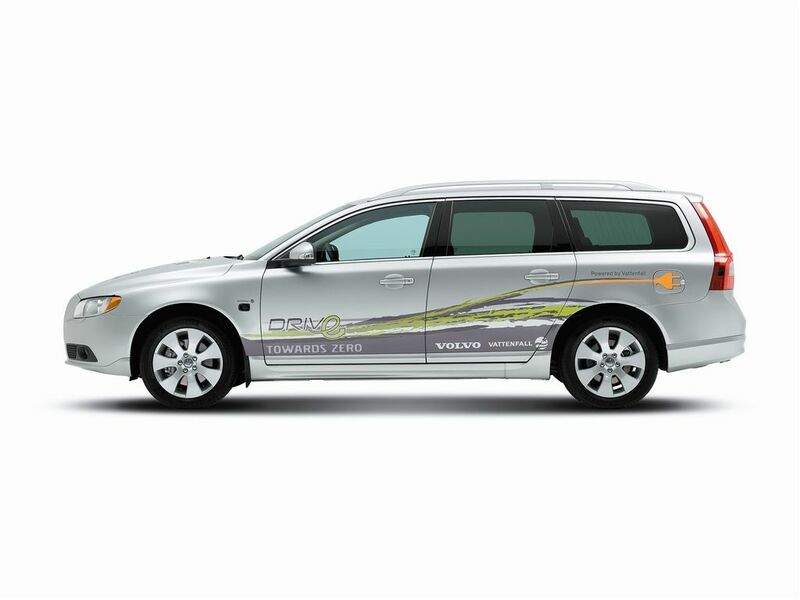 According to the standardised NEDC certification driving cycle, CO 2 emissions from Volvo's plug-in hybrid will be lower than 50 grams/kilometre. Cars with emissions below 50 grams of CO 2 /kilometre will probably have the most favourable incentives in many European countries. In addition to tax relief, these countries will offer a discount of about 5000 euros on the purchase price, a move that is expected to set the standard for the rest of Europe too. "We are focusing strongly on plug-in hybrids in order to meet the demands for low CO 2 emissions and to provide sustainable road transportation. We naturally expect that the relevant authorities will offer subsidies to boost developments, speeding up the creation of a market for this type of car," says Stephen Odell. Plug-in hybrids consume less electricity than most people believe. The fact is that a single medium-sized wind-power station can produce renewable electricity to cover the annual consumption of 1000-2000 plug-in hybrids in normal use. Even a large number of plug-in hybrids on the roads would be able to be supplied within the framework of the electric grid's existing capacity. If 15 percent of Europe 's cars consisted of plug-in hybrids, this would mean that total electricity requirements would only increase by between 1 and 3 percent. 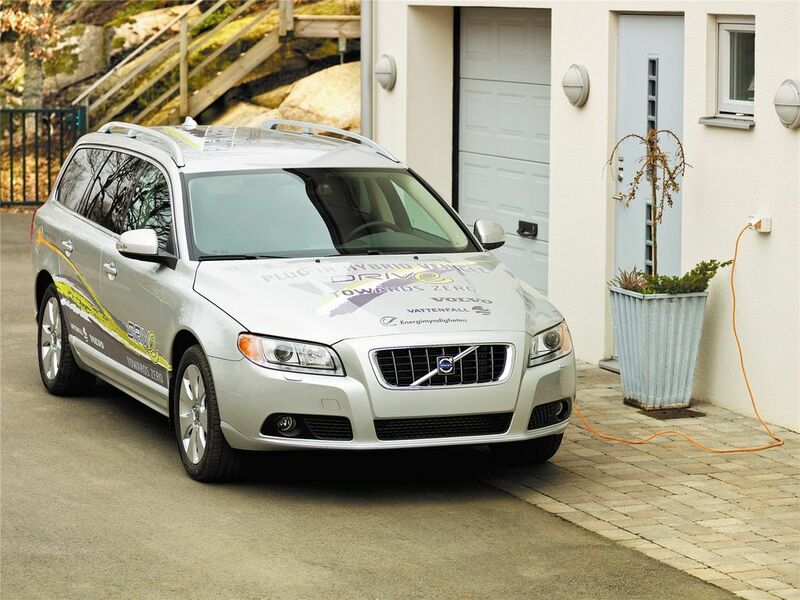 In January 2007, Volvo Cars and energy supplier Vattenfall launched a joint project with the aim of testing and developing plug-in technology. A new company was founded, V 2 Plug-in-Hybrid Vehicle Partnership, as a result of this cross-border initiative.